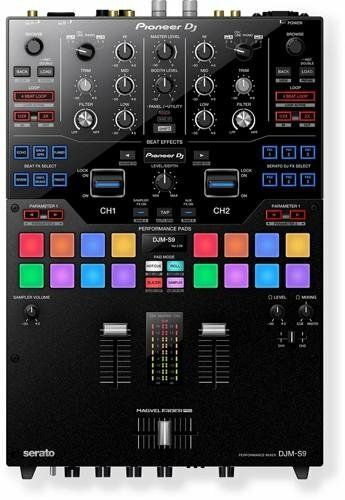 The DJM-S9 is Pioneer DJ’s first two-channel battle mixer for Serato DJ. The fully customizable Magvel Pro crossfader, tactile performance pads and FX buttons let you tailor the mixer according to your preferences. 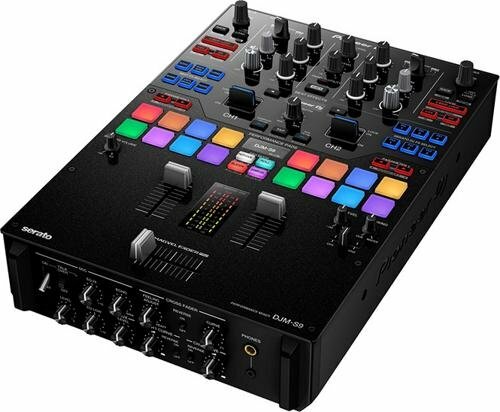 The DJM-S9 inherits its high-quality audio circuitry from Pioneer’s 4-channel digital mixer, the DJM-2000NXS. The power inlet is designed to reduce resistance and deliver the stable sound you need in loud club environments.